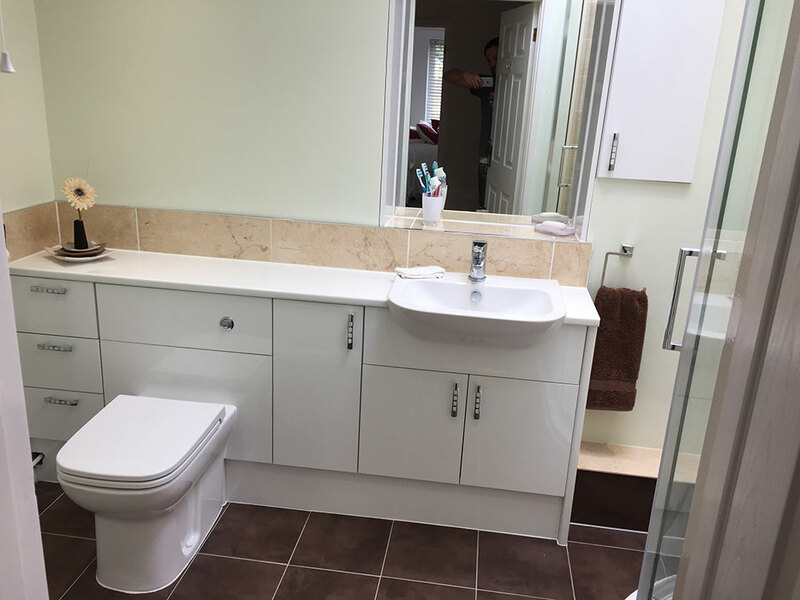 High quality bathroom suite fitted. 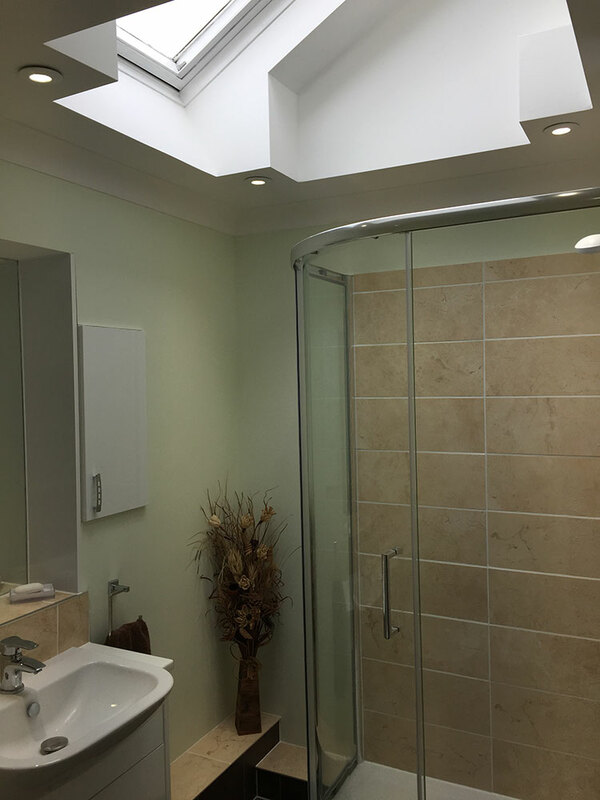 Ceiling reshaped around velux, skimmed perfectly with new down spot lights fitted. Cupboard sunk into wall next to custom size mirror. High quality bathroom suite including new designer radiator. 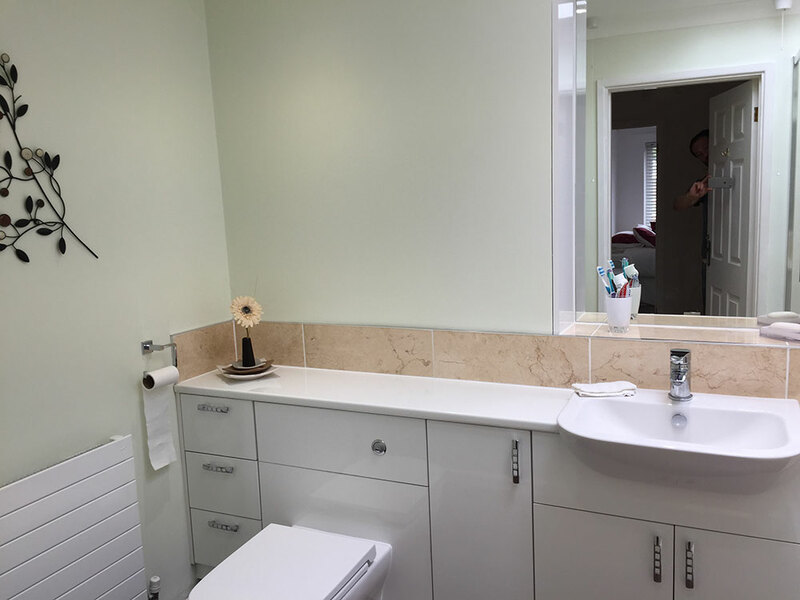 All cupboards and draws soft close toilet soft close. Floor finished in non slip brown tiles. 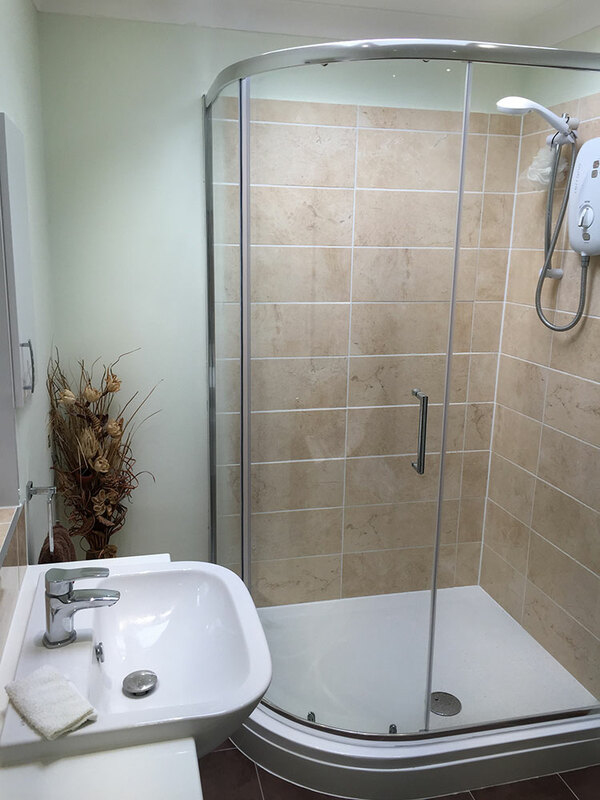 Walls and splash back finished in high quality porcelain tiles. Small section of boxing required to disguise pipes. Boxing finished in matching tiles.